Retweet is a share-like feature that lets you share someone else’s tweet on your Twitter timeline. This article explains how to hide retweets on the Twitter app on Android. 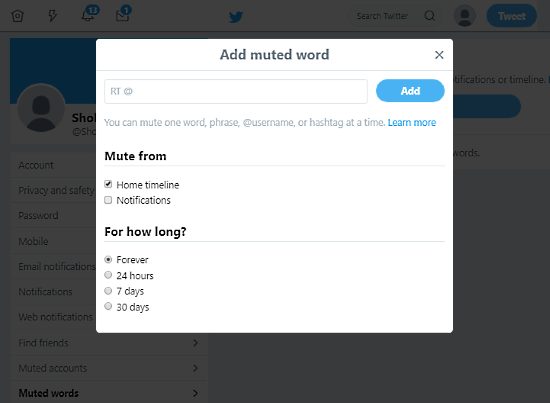 In doing so, you might miss out some news, jokes, and updates but if you are tired of retweets cluttering your Twitter feeds, this is totally worth it. Here I covered 3 methods that you can use to hide retweets on Twitter. 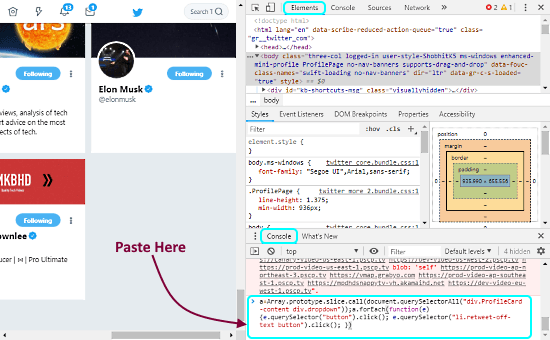 Unlike any browser extension or other workarounds, these methods hide the retweets all over your Twitter account whether you use Twitter on Android, iOS, desktop clients, or official website. Do note that these methods only hides the regular retweets, if someone adds a caption along with retweet that won’t hide. With that said, let’s jump right in and check these methods out. Also read: How to Create Auto Reply Twitter Bot without Coding? How to Hide All Retweets All Over Twitter? Here are the 3 methods that you can use to hide the retweets from your feed all over Twitter. First, go to the Blindfold website and sign in to this app using your Twitter account where you want to hide the retweets and authorize this app. Once you do that, this app gives you two buttons; “HIDE RETWEETS” and “SHOW RETWEETS“. Simply press the “HIDE RETWEETS” button and all the regular retweets will be hidden from your Twitter feeds now on. If you want to see the retweets again, you can do that with the “SHOW RETWEETS” button. Open the Twitter website (desktop version) and log in with your account. Go to Settings and Privacy and Choose “Mute Keyword” from the navigation panel present on the left side (direct link). Click the “Add” button there and type “RT @” as the phrase. Uncheck “Notifications” (if you want) and tap the “Add” button to save the mute phrase. Go to Twitter on a desktop web browser and open the following section (https://twitter.com/following). Scroll to reach the end of the page in order to load all the users you follow. Once you reach the bottom, open the Developer console by pressing the F12 key on your keyboard. Paste the script given below in the Developer console and press enter to run the script. This will automatically turn off the retweets from all users you follow. And, if you want to reverse this action i.e., want to turn on the retweets, simply replace off with on in the script ("li.retweet-off-text button"). Note that, this method might not turn off retweets for all the users in a single instance. If that’s the case, try to run the script a few screen-lengths at a time. These are the 3 methods to hide retweets on all over Twitter. You can use any of these methods to hide the retweets as per your convince. By hiding the retweets, you can have a neat and calmer feed.